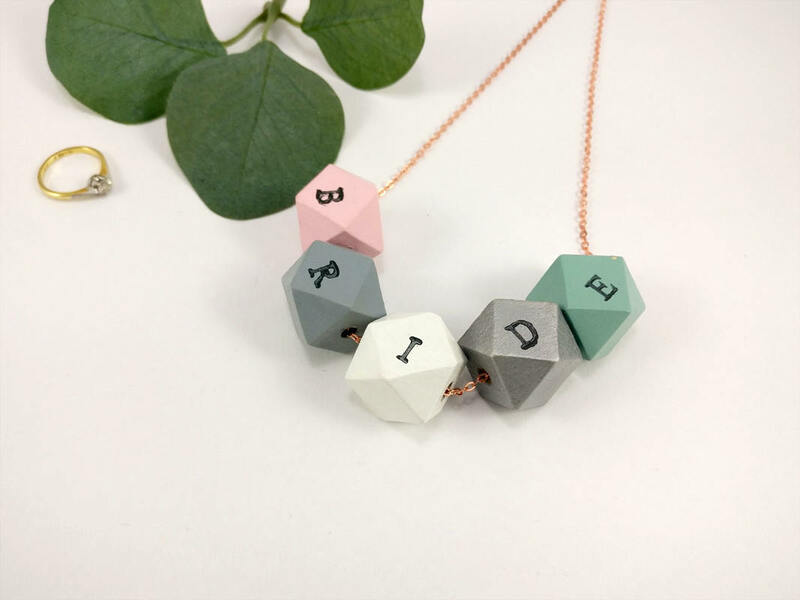 This is the perfect gift for the bride to be, a geometric wooden necklace. 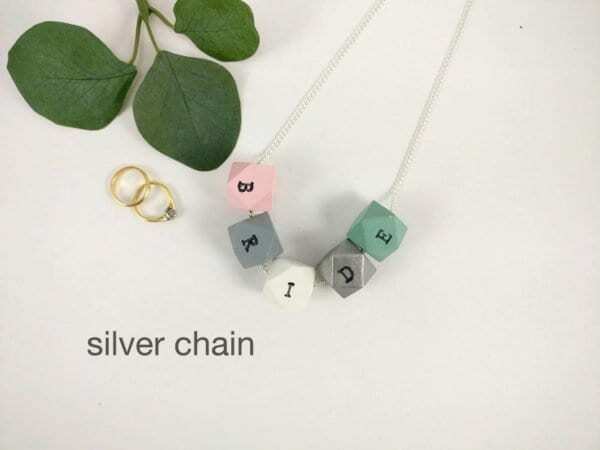 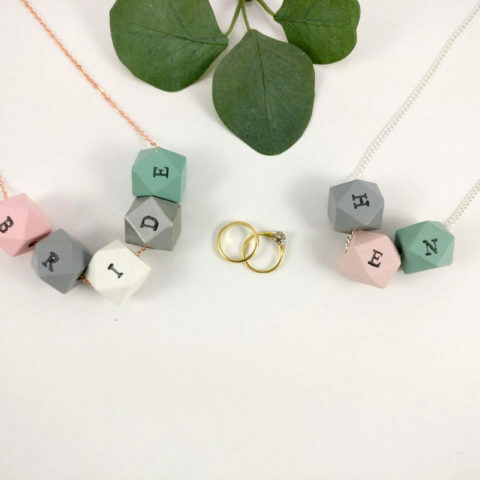 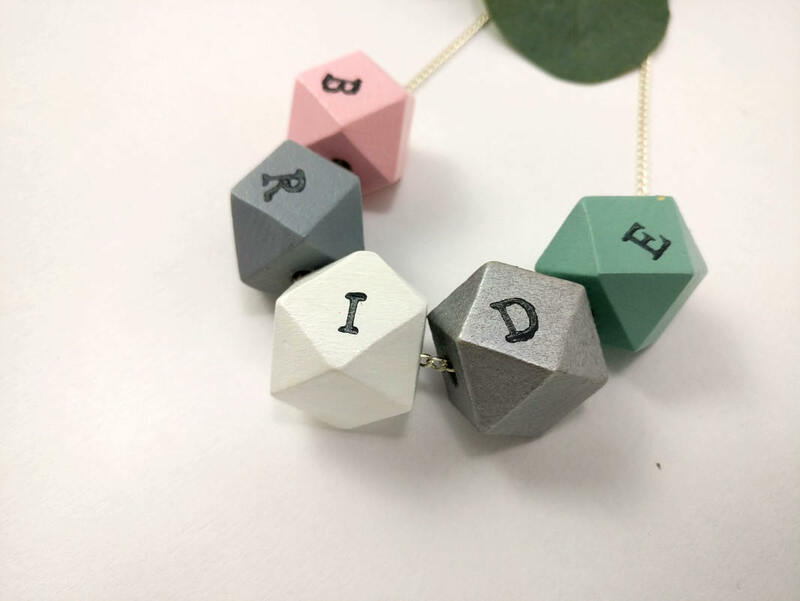 The letters are hand stamped on hand painted beads, you can request them in ANY COLOUR, just request a custom order and send a message with your request. Please note the colours used for the letters will be dark grey on light colours and white on dark colours. 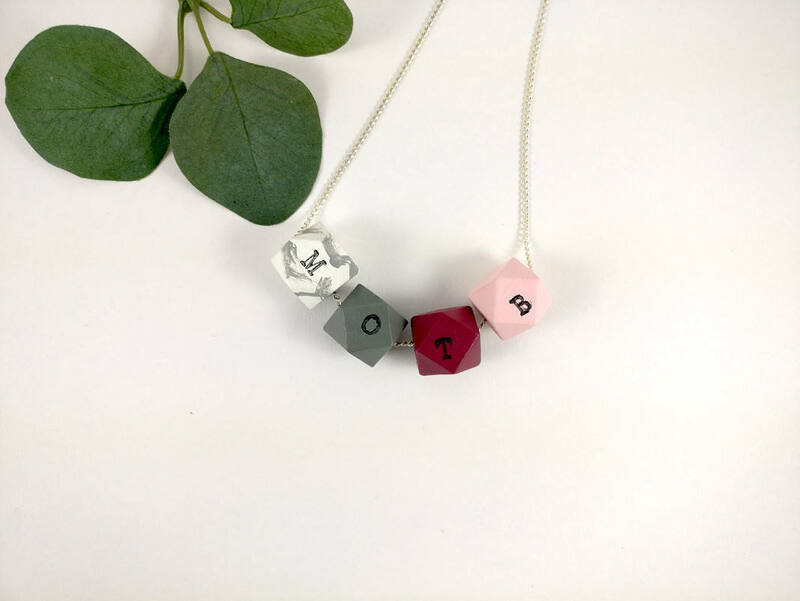 Order a custom necklace in ANY COLOUR, just click on “Request a custom order” above. 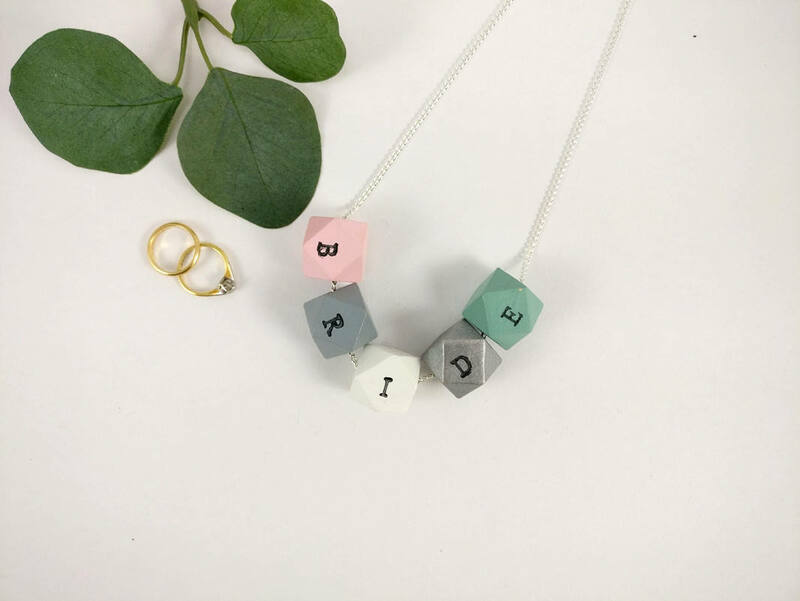 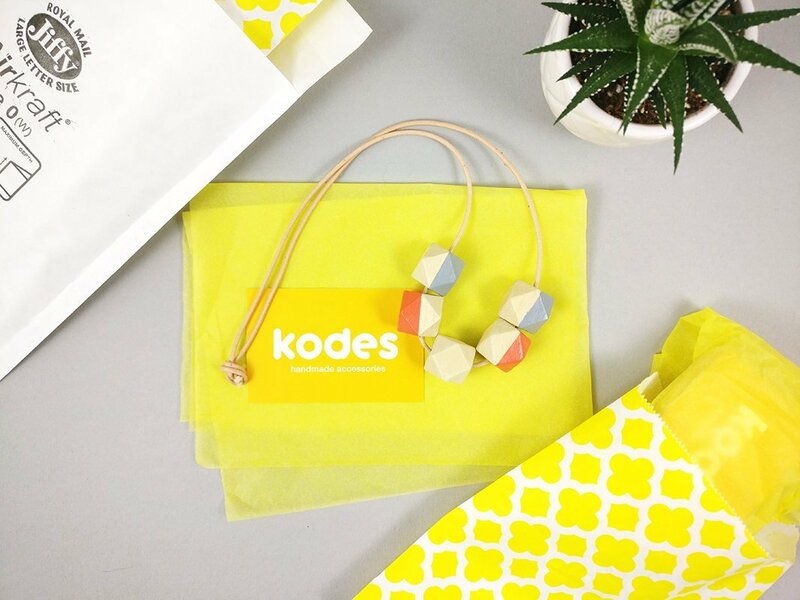 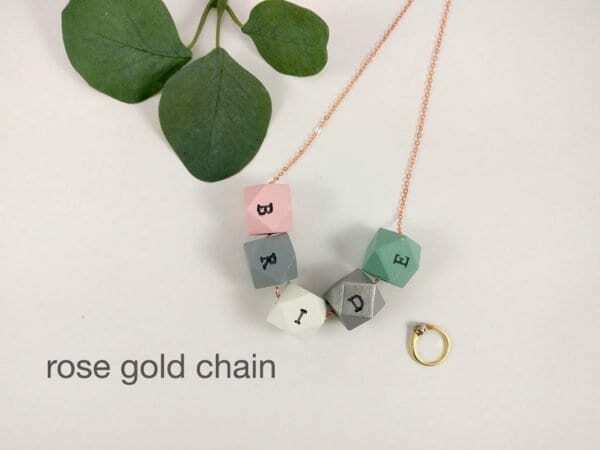 All these gorgeous Statement necklaces (called Kode Cubes) are bespoke and hand made, so they are unique but might bear some slight imperfections, especially the stamping. 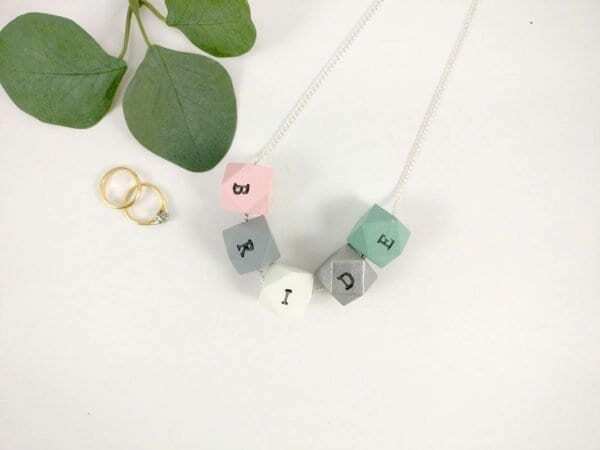 Each bead stamped will indeed look different from each other, you’ll have a very unique necklace! 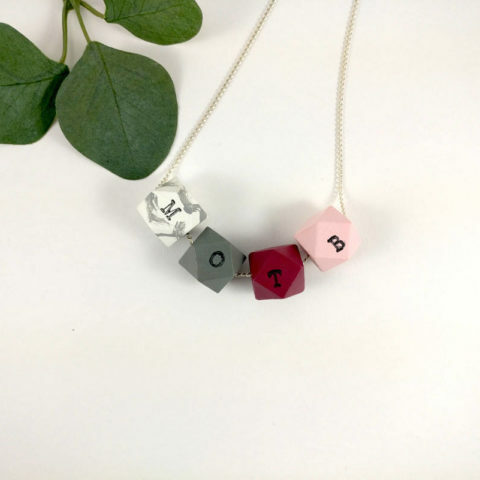 Please note we won’t be able to refund personalised necklaces. 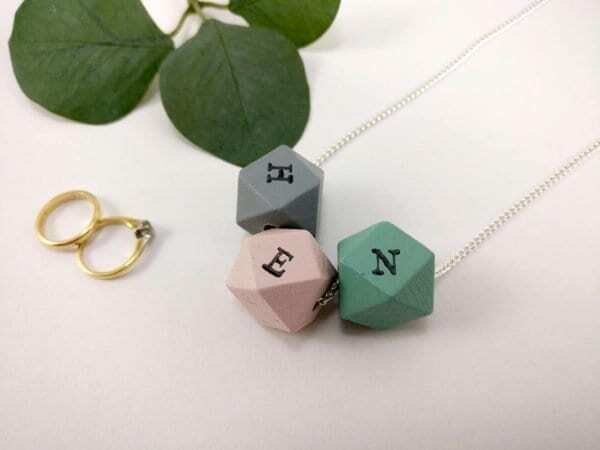 Each geometric necklace is made up of 5 x 20mm wide faceted wooden hexagon / cube beads that I have hand painted using acrylic paint, taking inspiration from latest fashion, items that I fall in love with and from the seasons. The beads are varnished for a matte (default except for metallic colours like Silver, Gold, Copper and Rose Gold; just ask for Satin or Shiny when you place the order if you wish to get a different finish), satin or shiny finish and the cord is left adjustable with a knot you can move to make the necklace bigger or smaller. 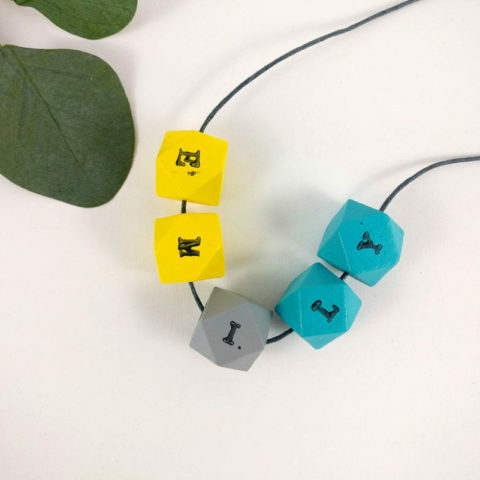 Cord is approximately 71cm long (including the extra cord to adjust the necklace). 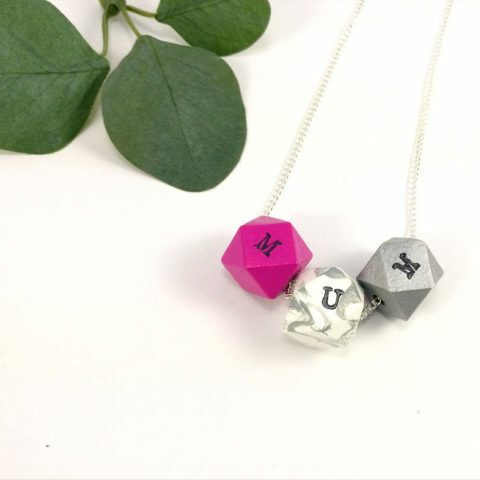 The necklace is carefully wrapped in tissue paper and mailing bag to ensure a safe delivery. 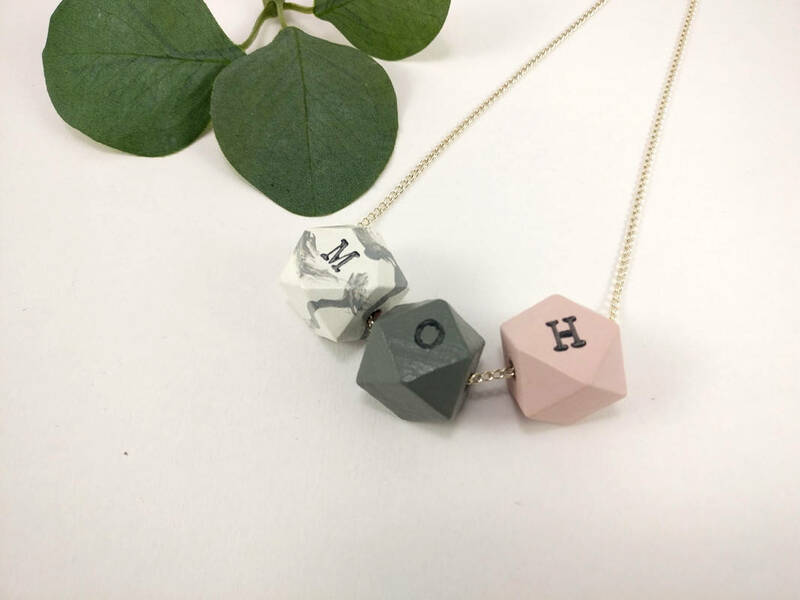 Because of the nature of the materials (wood and acrylic paint) and how they are made (by hand rather than factory mass produced), it’s important that you store the necklaces with care as the paint might wear off with time.